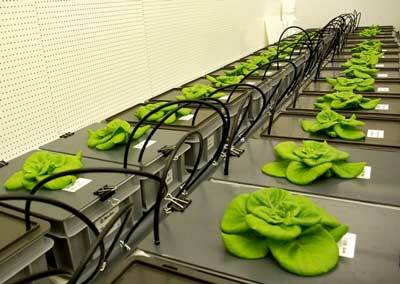 (Nanowerk News) Fresh food is so attractive to astronauts that they toasted with salad when they were able to cultivate a few lettuce heads on the International Space Station three years ago. Wolff has just completed an experiment that involved growing lettuce for space. The lettuce was planted in artificial soil made from lava rock. The goal is for the plants to grow directly in water that is supplemented with plant nutrients (Life, "Testing New Concepts for Crop Cultivation in Space: Effects of Rooting Volume and Nitrogen Availability").